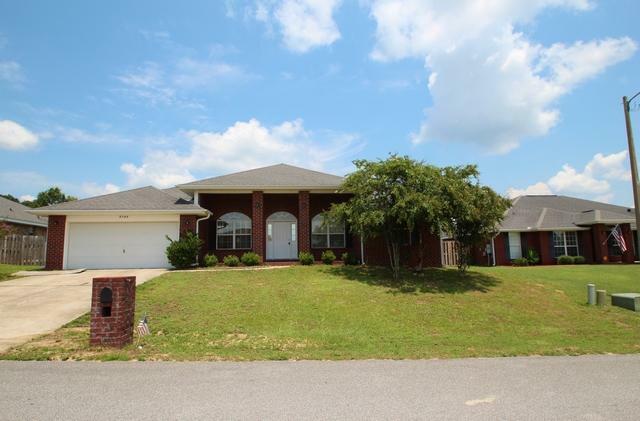 You need to see this great All BRICK home with sparkling POOL in the great community of Lee Farms! This well designed residence has a split bedroom plan featuring 4 bedrooms and two baths. It is actually a double split with the master bedroom being on one side of the home and the other three on the opposite side but one of those extra bedrooms is located on the opposite side of the great room from the other two. It makes a great study or guest room. The home has a formal living room and a formal dining room separated by a large foyer, plus a gigantic family room with vaulted ceiling, plant shelves, and fireplace. Beautiful Berkshire cherry Pergo flooring and ceramic tile floors (carpeting in bedrooms).